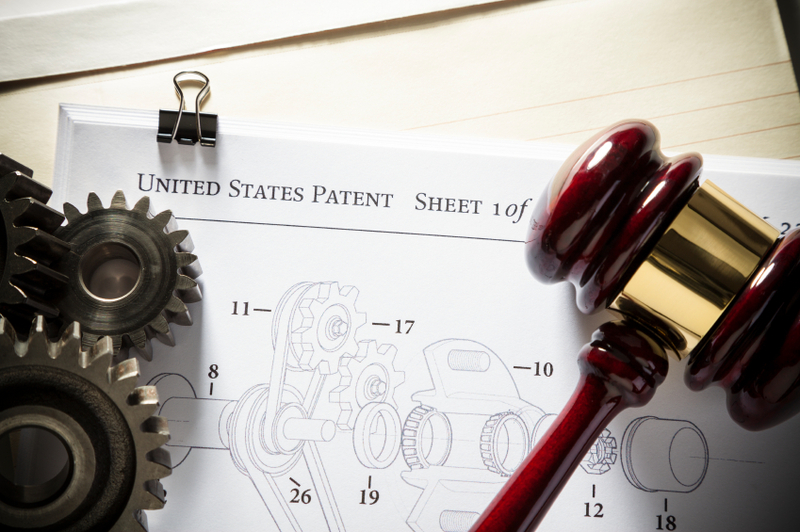 Topics Patent, Trademark, or Copyright: Which Does Your Business Need? Patent, Trademark, or Copyright: Which Does Your Business Need? Wondering whether your business needs a copyright, a patent, or a trademark? Unsure as to which one you need? Don’t worry, you’re not the first. The type of intellectual property protection your business needs depends upon the subject matter you are trying to protect. To ensure you are completely protected, it is important that you know what type of protection applies to which types of subject matter and what is available to you. Patents are generally the most expensive type of intellectual property protection and arguably the most complex. Patents protect new and useful machines, processes, items of manufacture, or any new or useful improvement to an existing machine, process, or item of manufacture. In other words, patents protect new inventions. Light bulbs, iPhones, computers, cars components, and washing machines have all been patented. If your business has a research and development department, or is formed around a new product or invention you developed, you should be speaking to a patent attorney immediately. Unlike other forms of intellectual property, registration with the United States Patent and Trademark Office (USPTO) is required to obtain patent protection. Once registered, you will have a monopoly over the invention’s use. The entire process can take between one and three years and cost several thousands of dollars. Therefore, it is important that you seek out an experienced patent attorney that can guide you through the process. A copyright protects original works of authorship like literary works, musical works, movies, photographs, and paintings. Copyright protection is given to any person who creates an original work and fixes that work in some tangible medium. In other words, once you take a photograph, paint a picture, or write a book, you have a copyright in that work (as long as it is original to you). Unlike patents, copyrights generally protect creative forms of expression, rather than an actual device or process. If your business creates movies, artwork, photographs, software, books, publishes online content, or does anything else creative, you should speak with a copyright attorney about protecting your rights. Registration with the United States Copyright Office is not required to obtain a copyright because it exists the moment the creative work is fixed in tangible form, but it does carry significant benefits. The copyright registration process typically takes 2-3 months and generally involves a filing fee of $35. For more information on copyrights and the specific legal rights given to the author, see my article here. For more information on the benefits of a copyright registration, see my other article on the subject. A trademark is a distinctive sign or indicator used to identify that certain products or services originate from a unique source, and to distinguish its products and services from those of other businesses. APPLE computers, COCA COLA, and TIFFANY’s are all well known trademarks. Trademark rights attach as soon as your business starts to use a particular name, logo, or slogan in commerce. Registration with the USPTO is not necessary but does carry significant benefits. The entire registration process may take up to a year and typically involves a filing fee between $275 – $325 per mark. For more information on trademarks, see my article here. For more information on the benefits of a federal trademark registration, see my other article. As you can see, patents, trademarks, and copyrights each protect different types of subject matter and can vary in costs. Our attorneys are experienced in copyright and trademark law and are here to help. If you’re ready to discuss your intellectual property rights, quickly schedule a free initial consultation with one of our attorneys.